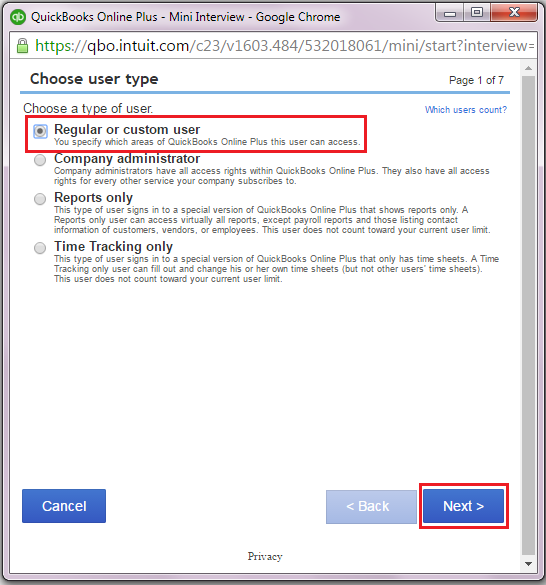 How do I share/invite FLEXquarters Support team to access my QBO company file? 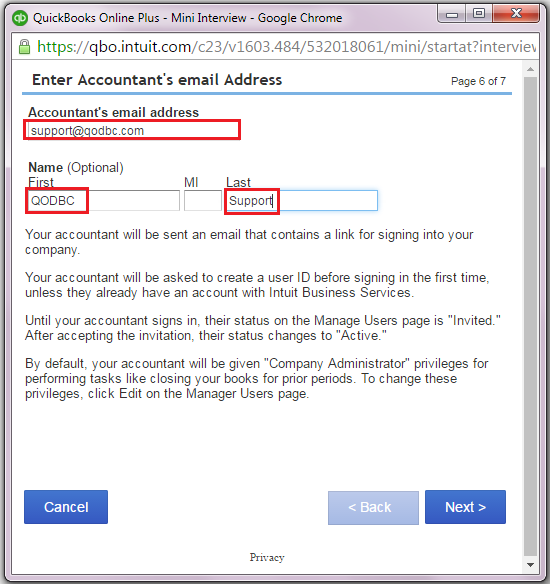 Please follow below steps to share/invite FLEXquarters Support team to QuickBooks Online company file. 1. 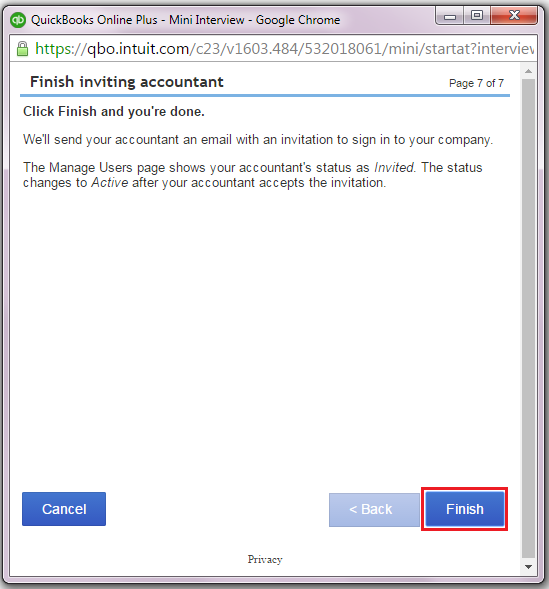 You can share your QuickBooks Online company file connection key by exporting connection key. 2. Email connection key to FLEXquarters Support team. 3. 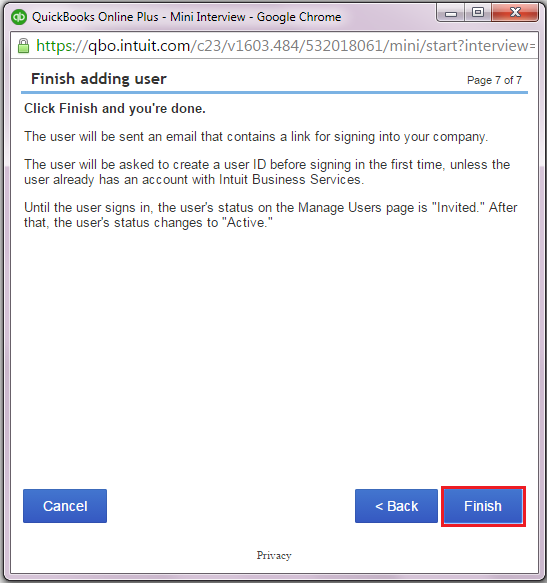 Login to https://qbo.intuit.com/ using your credentials. 4. Click on Company Name & Manage Users. 5. Go to Manage Users section & click on New. 6. Choose user type, Select Regular or custom user & click Next. 7. 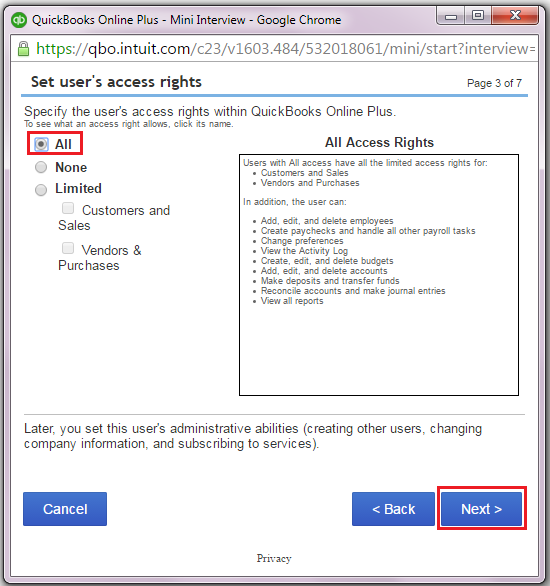 Set user's access rights, Select All & click Next. 8. Set user's administrative rights. Select User management to "No", Company Information to "View Only", Subscription & Billing to "View subscription information" & click Next. 9. Enter FLEXquarters Support team Email address support@qodbc.com, First Name to "QODBC", the Last Name to "Support" & click Next. Click Finish & you're done. 10. 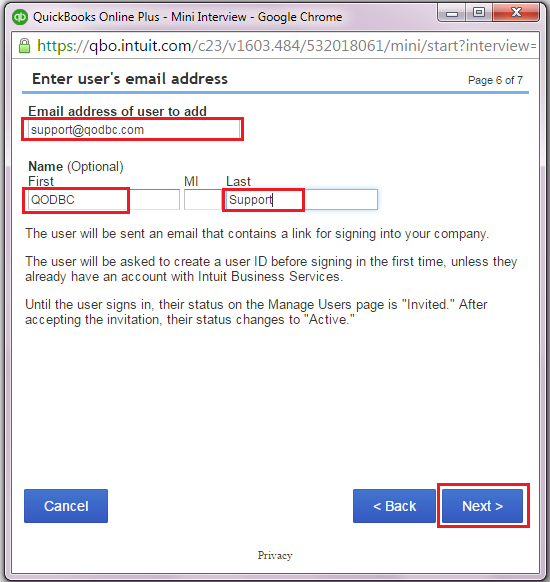 QODBC Support is listed under Manage Users list as an Invited status. 11. Once we accept the Invitation status will change to Active. 12. You can delete Invited user by selecting user & click on Delete. 13. 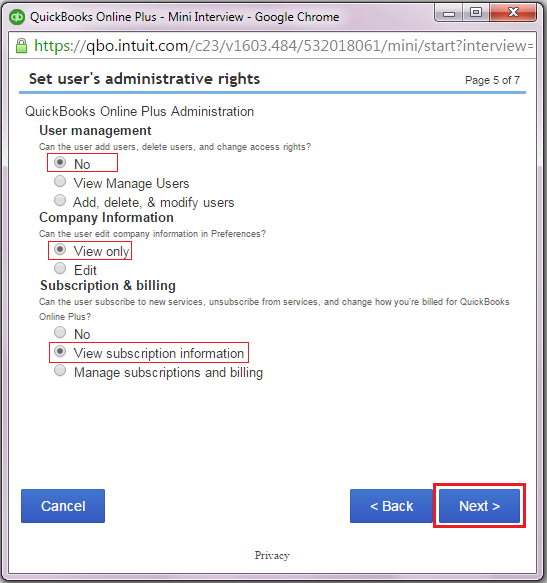 You can share/invite FLEXquarters Support team to access QuickBooks Online company file from Accounting Firms section by clicking Invite Accountant. 14. Enter FLEXquarters Support team Email address support@qodbc.com, First Name to "QODBC", the Last Name to "Support" & click Next. 15. QODBC Support is listed under Accounting Firms list as an Invited status. 16. Once we accept the Invitation status will change to Active. 17. You can delete Invited user by selecting user & click on Delete.